Added to our list of places to visit when we return to San Francisco is Tadich Grill. I am a fan of white table cloths, waiters in jackets and decor that looks like you are visiting the set of an old time movie. 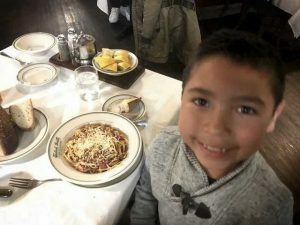 Top it off with great food and service you have arrived at Tadich Grill San Francisco. Located in San Francisco’s Financial District about mid block, you are greeted by the staff who directs you. 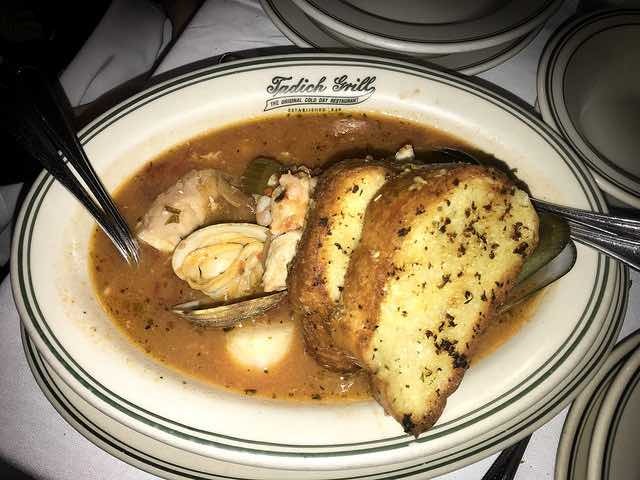 On our menu this Saturday afternoon was the Seafood Cioppino, Salmon and Crab a la Newburg, served over Rice and Spaghetti and Meat Sauce. 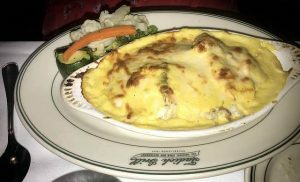 From their website, Tadich Grill is essentially a seafood restaurant and has been for over 166 years. Twice a day (and sometimes all afternoon), the place bustles as waiters serve aromatic dishes bearing last night’s catch, broiled, sautéed, or grilled. It is noisy, yes. But unlike some popular spots, it’s not so noisy that you can’t have a conversation with your companions. If you’d been to Tadich Grill a century ago, it would hardly have looked any different. Back then, customers left happy and returned frequently, just like they still do.